Thanks to the digital wave, our government portals were quick to adopt the instant and hassle-free online payment system to collect taxes from citizens. 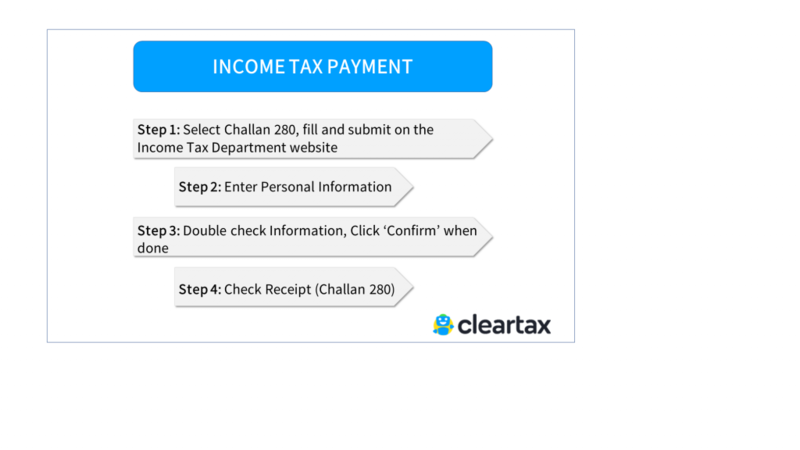 Challan 280 is one way to pay your advance tax, regular assessment tax, self-assessment tax, tax on distributed income and profits, additional charges etc. online. Let’s discuss how. Step 7: Enter Captcha in the given space and click on ‘Proceed’. Based on the mode of payment you will be redirected to your bank’s payment page. Double check the information displayed and enter the income tax amount you owe in the income tax field. Click ‘Confirm’ when done. 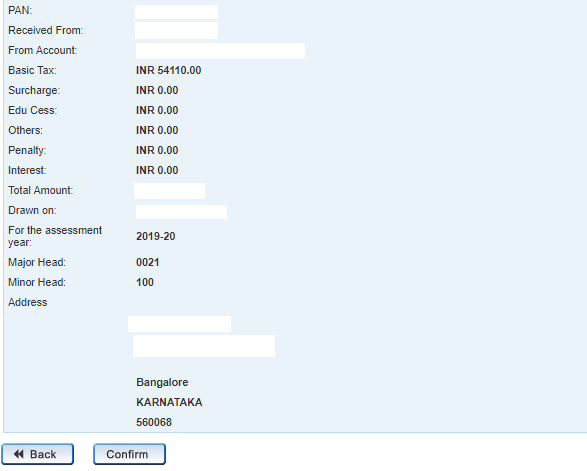 After completing the payment, you’ll get a tax receipt on the next screen where you can see the payment details. You can see the BSR code and challan serial number on the right side of the challan. Important: Save a copy of the tax receipt or take a screenshot. You’ll need to enter the BSR code and challan number to enter in your tax return. If you’ve missed downloading the copy of your tax receipt, you can log in to your net banking account and retrieve it. After you have made the tax payment, you need to furnish this information in your income tax return. 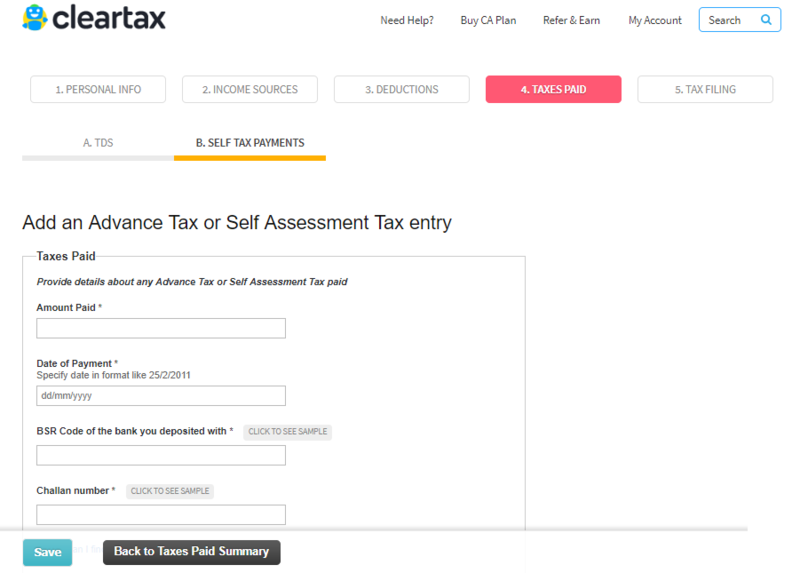 Go to Taxes Paid Summary Page on ClearTax to update this information. Select the “Self Tax Payments” tab and enter the BSR code and challan number from Challan 280. Note: BSR code is a 7-digit number and challan serial number is of 5 digits. If you have annual tax dues exceeding Rs 10,000, you must pay income tax in advance.Usually, for the salaried class, employers take care of these income tax payments via TDS deductions. b. How to Calculate and Pay Advance Tax? i. Estimate your total income: Add income from all sources. Include salary income, interest income, capital gains etc., just like you do at the time of filing your income tax return. If you are a freelancer, estimate your annual income from all clients. ii. Freelancers have to subtract expenses: Freelancers can deduct expenses from their freelancing receipts. Examples – the rent of your workplace, internet bill, mobile bill, depreciation on computers, travel expenses etc. Read more information on freelancers and taxes. iii. Allow deductions: Reduce deductions you want to claim from your total income and arrive at your taxable income on your tax return. The deductions that come under Section 80C, 80D, 80E or any other you want to claim. (Read more on Section 80C, 80CCC and 80CCD). iv. 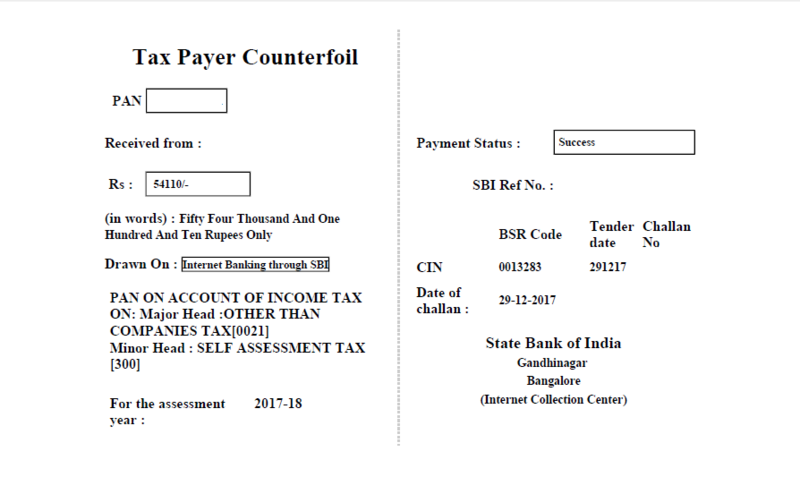 Calculate tax due on total income: Apply the latest income tax slab rates on your taxable income to calculate your income tax due. Reduce any TDS that may have been deducted from your total tax due. And make sure you have paid according to these instalments. These payments of income tax can be made online. Non-payment of advance tax can result in penal interest levy under section 234B and 234C. You cannot submit your income tax return to the Income Tax Department unless you have paid tax dues in full. Sometimes, you may see tax payable at the time of filing your return. This tax is called Self Assessment Tax, which you can pay online to ensure successful e-filing. You should also pay the interest under section 234B and 234C along with your tax due, if you are paying tax after 31 March. When you e-file with ClearTax, our system will automatically tell you how much tax you need to pay to file your return. You can also get your return verified from a CA to make sure that you paid the correct amount. Sometimes, you may have to make an income tax payment to comply with an income tax demand notice. If you agree with the assessing officer and are ready to pay the demand, you may do so online. It is also called the tax on regular assessment. What is included in my total tax payable during a year? You arrive at your income taxes due by totalling all your income, availing all applicable deductions, determining your taxable income and then calculating your taxes at rates applicable to the income slab you fall under. As a next step, if your income falls between Rs 50 lakhs and Rs 1 crore, a surcharge of 10% would apply and if your income exceeds Rs 1 crore, a surcharge of 15% would apply on taxes due. Further, 4% of taxes due (plus surcharge if any) will have to be added by way of health and education cess. If your income during a year is less than Rs 3.5 lakhs, you are eligible to claim a rebate under Section 87A up to Rs 2,500 or taxes due, whichever is lower. Is it necessary for me to pay taxes online? If no, how can I pay it? The remaining taxpayers can pay taxes in physical form by submitting the challan at designated banks. However, you can also avail the e-payment option as it is easy and saves time too. Are there any benefits of paying taxes online? Definitely. Not only does E-payment save time, you can avail facility anytime and anywhere. Further, unlike physical mode of payment where the credit of taxes paid goes to the government at least after a day only, online payment gives credit to the government immediately. What are the basic things I need to be prepared with in order to may my taxes online? For making e-payment of taxes, make sure you have an internet connection and an internet banking enabled for your bank account. In case you do not have net banking, you can make payment using net banking account of any other person. However, please make sure the taxes are discharged in your name and against your PAN only, for you to get the credit. What all taxes can be paid electronically? What are the various challans that are applicable for various types of payments? Whom should I contact if I face any issues while making tax payment online? While making e-payment, in case you encounter any problem at the NSDL website, you can contact the TIN call center. In case you face any problem at the payment gateway of your bank, you can contact your bank. Learn the common reasons for getting tax due at the time of e-filing. You are likely to see a tax due when you've changed jobs and if you have income other than salary for which you haven't paid tax yourself.